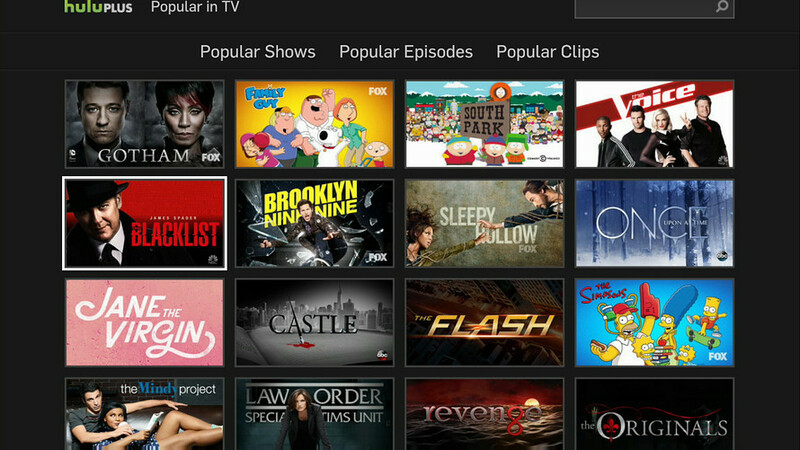 What UI Voodoo Will Hulu Do In Linear Debut? One of the more interesting subplots to Hulu’s apparently pending rollout of an over-the-top bundle of linear channels will be what it does with the user interface. As I’ve noted here previously, the traditional programming grid that still drives navigation on most pay-TV systems today is at the core of the current tussle over Federal Communications Commission chairman Tom Wheeler’s proposal to “unlock” the set-top box to allow third-party devices and applications to interoperate with pay-TV services. And apart from pay-TV operators themselves, the loudest objections to Wheeler’s proposal have come from programmers, who fear those third parties will not honor the agreements networks have with operators concerning their position within the traditional pay-TV UI. To the networks, their position within the linear bundle is crucial to maintaining the integrity of their brand(s), and to their ability to launch and promote new programs. Their preferred approach to enabling third-party devices is an apps-based model, in which operators would make available apps that could run on third-party devices but would mimic the UI (and the contractual terms) of the current set-top box arrangement. Among the programmers raising those objections with the FCC, of course, are Hulu’s parent companies, 21st Century Fox, Disney, and silent partner NBCUniversal (part of Comcast). According to the Wall Street Journal’s initial report on Hulu’s plans, Fox and Disney (ESPN, ABC) are already more or less on board. And Variety reported this week that NBCU has begun preliminary discussions. As an on-demand platform, Hulu currently offers a very non-linear UI. Programs are presented individually rather than as part of a network, users can search its library, and its ad-supported tiers allow users to select which commercials to see. Hulu will obviously need to design a different type of UI for its live, linear service. But how far it will go in preserving the prehistoric EPG paradigm could turn out to be an interesting question. The networks’ current linear branding strategy is built on arms-length (although often corporately related) distributors, where the leverage of their copyrights allows programmers to set the terms for how their content is presented to consumers. Those terms largely serve the interests of the programmers, however. and not necessarily the preferences of consumers. Yet, as Hulu’s own success demonstrates, consumers clearly see value in having content presented to them in different ways. That, in essence, is precisely what frightens the networks about Wheeler’s proposal: that in response to consumer preferences, a third-party, if given license by the FCC, would design a new UI, based on a different navigation paradigm (search, algorithmic recommendation) that would blow up their whole branding strategy. As owners of Hulu, Fox, Disney and NBCU will for the first time have direct exposure to consumer preferences and behavior within the context of a bundle — that is, actual market forces. No doubt their initial instinct will be to try to preserve the current linear presentation model as much as possible. But if they’re going to take the risk of alienating their current distributors by going over-the-top with Hulu they might as well try to be successful at it. And that could mean being more responsive to changing consumer preferences than the current model allows.